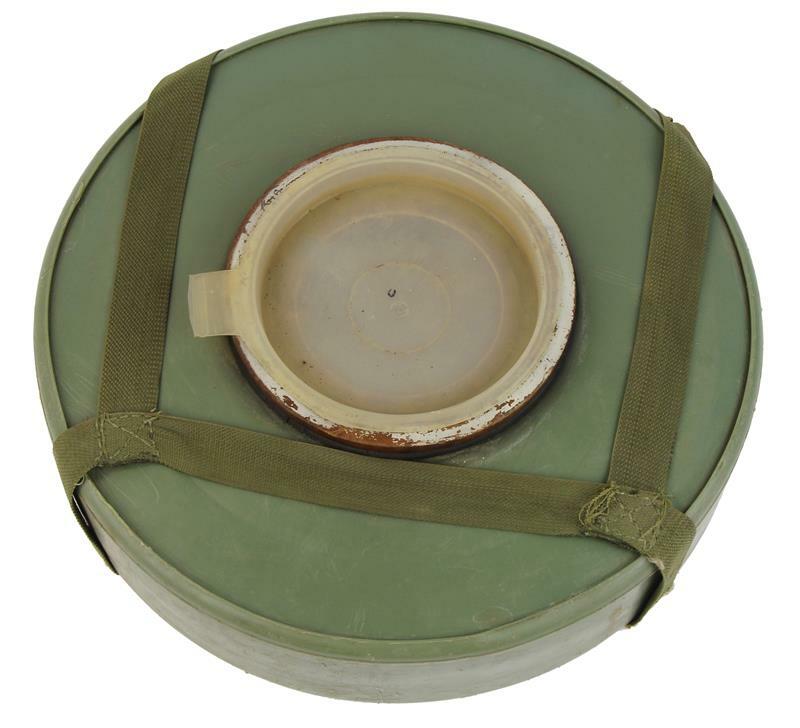 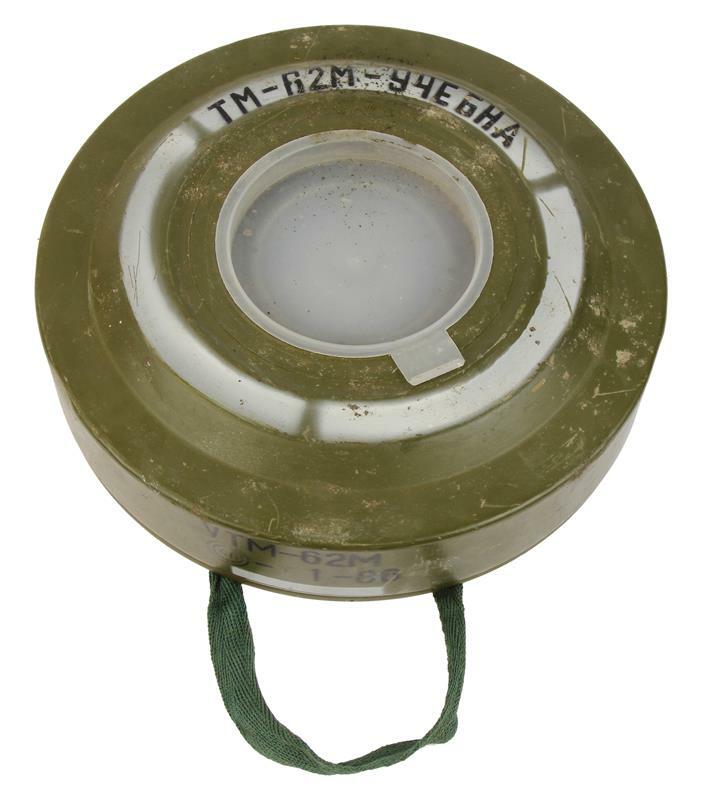 Anti-Tank Mine, TM-62M, Inert, Metal, Case of Four | Gun Parts Corp.
Set of four TM-62M inert metal anti-tank mines. They feature round metal body, olive green finish, canvas carry strap, and plastic seal cap. 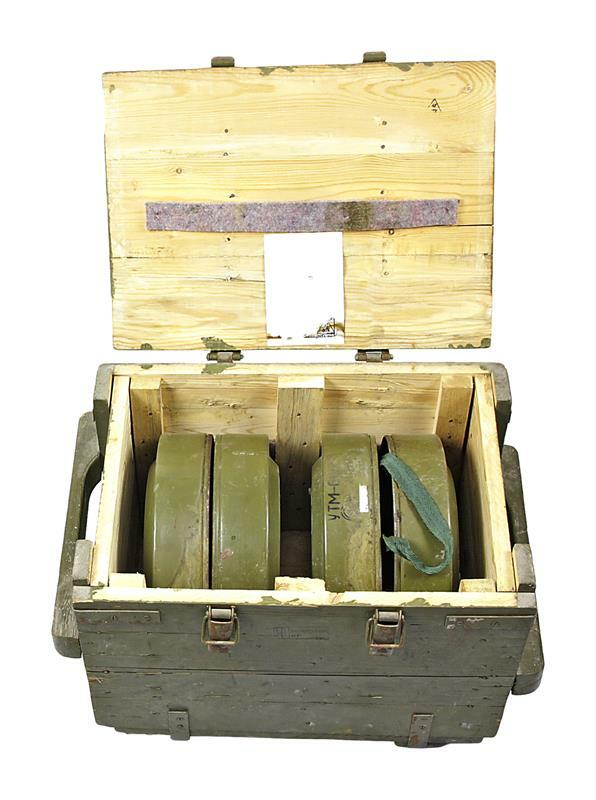 They are packaged in the original wooden transport crate. 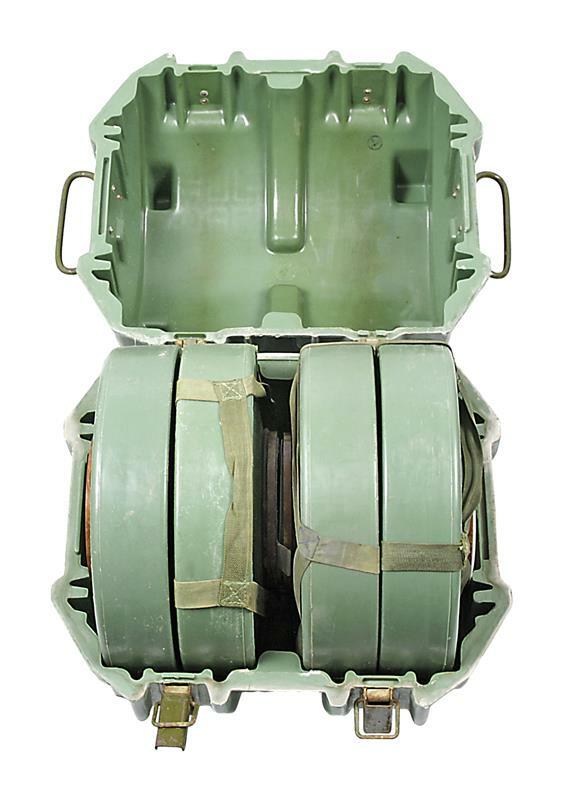 The total weight is around 114 lbs.